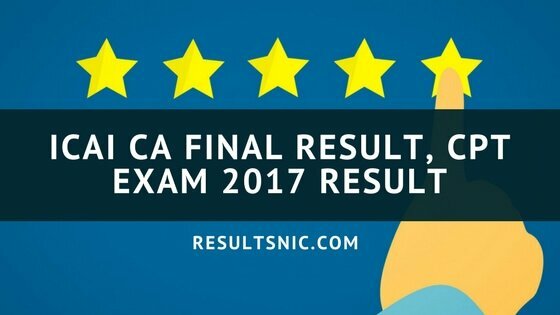 ICAI CA Final Result, CPT Exam 2017 Result : ICAI announced that the results of CA Final Exam and CPT December 2017 Exam results are available on the official Website of ICAI in 17th January 2017. These results are available through email and SMS Also. CA Final Examination held in November 2017 and Common Proficiency Test (CPT) held in December 2017. 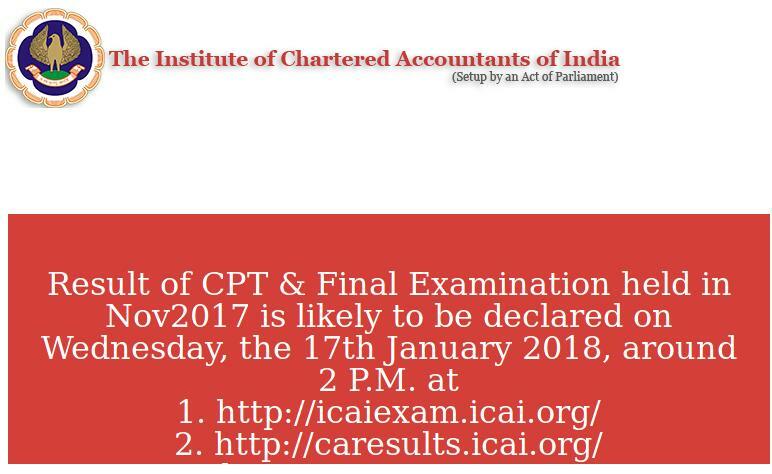 The results are declared on January 17, 2018 around 2:00 pm on the ICAI official website. The results are updated through email after the official declaration has been made. Students shall have to enter his registration no. or PIN no. along with the roll number of the examination. ICAI will update the result and marksheet of Final Examination and Common Proficiency Test (CPT) held in November/December 2017 through SMS. This is common for all mobile networks. Every year, ICAI conducts CA IPCC exams twice in a year in the months of May and November. In 2017, ICAI conducted CA IPCC exams in the month of November from 2nd Nov 2017 to 16th Nov 2017. The total number of students appeared in the final exams is 1,28,853 at a total of 346 exam centres all over the world. A total of 63,035 candidates have appeared for the CPT examination in 327 locations in India and other countries. ICAI will prepare an All-India Merit list for the candidates who will secure minimum 55% marks and above, up to the 50th rank maximum for CA Final Examination November 2017 Result. CA Final pass percentage May 2017.